A true mountain-to-town ski jacket, the modern Rocks Jacket pulls design inspiration from city streets, with its weave-like texture and brushed metal trims. 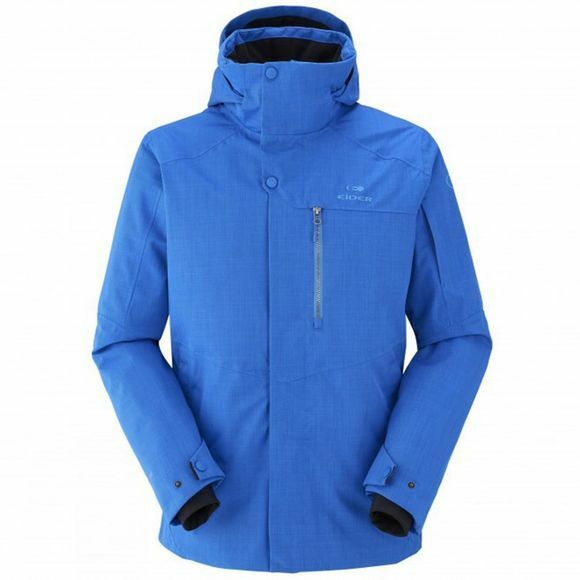 But make no mistake, this jacket has been engineered to perform for skiers and snowboarders, thanks to the full set of versatile ski features, like removable snow skirt, multitude of inner and outer pockets, and removable hood. Defender® membrane and body-mapped insulation assure you stay warm and dry, whether you’re going big on the mountain or going out on the town.